Early last year Tony did a Quick Draw review on two cigars from a company that I had not heard of before, Maya Selva, but his take on them piqued my interest. For the first eighteen years of its existence, Maya Selva did its business in Europe before crashing the U.S. market in 2013. The Flor de Selva line is a large one, with their website listing 14 different sizes in both natural and maduro wrappers, and that doesn’t include this lancero or the 6 x52 toro that were introduced last year, nor does it include the two stubby cigars that Tony reviewed. Not all sizes are available in the U.S., but that’s one heck of a big portfolio. 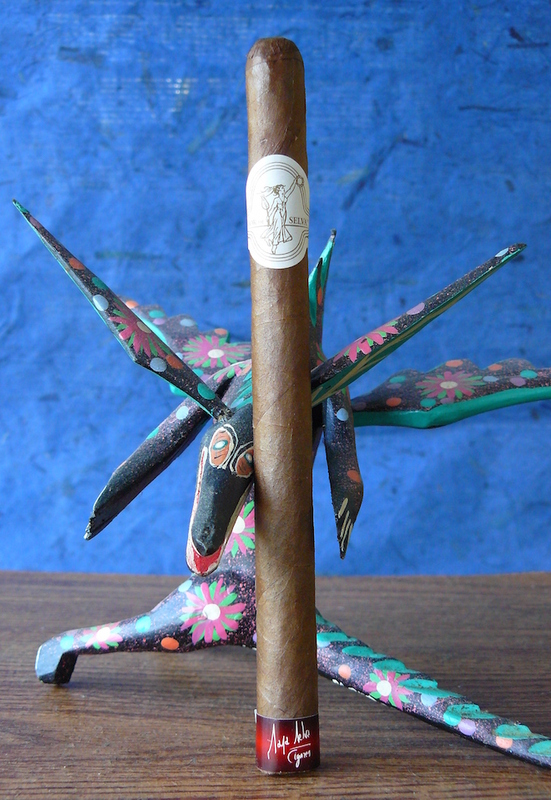 I will be taking a “First Impressions” look at the Flor de Selva No. 20 lancero that was released last year to mark the company’s 20th anniversary. There’s not a whole lot of information out there on this cigar, so I reached out to Maya Selva’s Director of Sales, Gabriel Alvarez, and he provided me with some extra details. While the regular line of naturals are wrapped in Honduran Connecticut, the No. 20 utilizes a Habano Jamastran leaf. Although 2,000 boxes of ten cigars were released for the global market, only 500 of those boxes were earmarked for the U.S. and are priced at $150 per box or $15 per cigar. Cigar provided by Ana Cuenca of Cuenca Cigars. The Flor de Selva No. 20 is draped in a uniformly medium brown wrapper, with a slight toothiness and oily sheen. There a few prominent veins and spongy spots leading to a rounded cap. The regular Flor de Selva white and brown band is joined by foot band of red and brown gradation with a white Maya Selva Cigars signature. The wrapper gives up scents of bright, tangy barnyard, while the foot displays little more than tobacco. Clipping the cap gives a good draw with faint cedar and tobacco, and a light sweetness. The Flor de Selva No. 20 starts out with sweet earthy tobacco and oak with a light hit of pepper that is felt on the back of the tongue. The burn line is a bit thick and wavy, leaving behind a dirty gray ash that falls just past a half-inch, and the second ash doesn’t even make it that far before dropping in my lap. By this point, the cigar is a smooth earthy and woody high-mild/low-medium mouthful, with a lingering herbaceousness and virtually no pepper spice. Nearing the end of this first section some leather has emerged, cutting back on the herbal notes. Into the second third, the Flor de Selva has segued from the herbal flavors to more of a mossy tobacco, while the woodiness has stepped back. It is still perched at the low end of medium in terms of body and has shown very little, if any, nicotine strength. There is a bit of toastiness showing on the retrohale and a light, coffee-like bitterness is present. 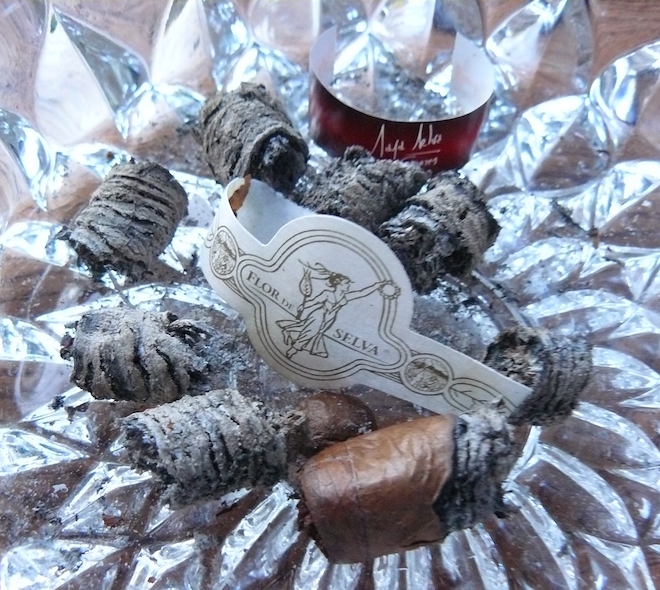 The cigar continues to burn at a slant, but I have not had to do any corrections. The ash also continues to drop unexpectedly, although I suppose I should be prepared for that by now. The Flor de Selva No. 20 has now reached a solid medium, and some pepper has re-entered the picture, along with sweet wood. There is still an herbal tone in there, but has been relegated to the background, and there is suddenly a faint and fleeting dark chocolate in the aftermath of the retrohale. It is producing a tingle on the lips, but shows no harshness at all as it has smoked down to a small, cool, and rather soft nub, ending at a medium-plus body and nearly zilch in its strength. 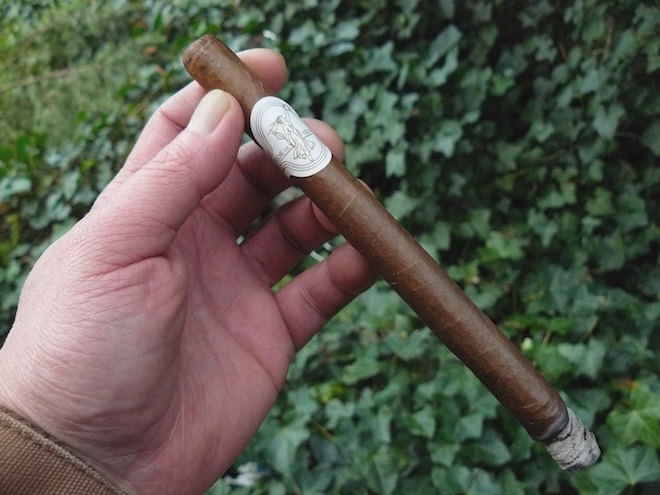 There were a lot of things I liked about the Maya Selva Flor de Selva No. 20, and some I was not quite so enamored of. 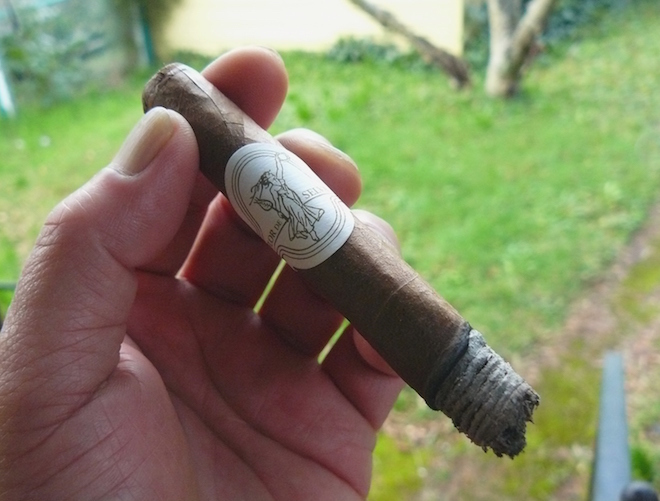 The objective part of the cigar is easy: It’s a very well constructed and well behaved stick that draws well, and despite the weak ash, burns as well as just about any lancero out there. Although smooth and easy to take, the flavors just didn’t hit my palate quite right. There just seemed to be something lacking that would have put it into the category of high recommendation, most likely a lack of overall sweetness, more of which I would have appreciated, as I feel that would have balanced out the flavors for me. That being said, I’m sure that a lot of smokers out there would like this cigar a lot more than I did, and keep in mind that this assessment is coming off the single cigar that I had. Personal preferences are just that, and perusing the internet I seem to be one of the very few who didn’t thoroughly enjoy it, so I will say that it’s certainly worth trying out. The $15 price tag, however, while justifiable from an availability standpoint, makes it a little tough for me to consider picking up more than one or two more of to see if I’m missing something here. 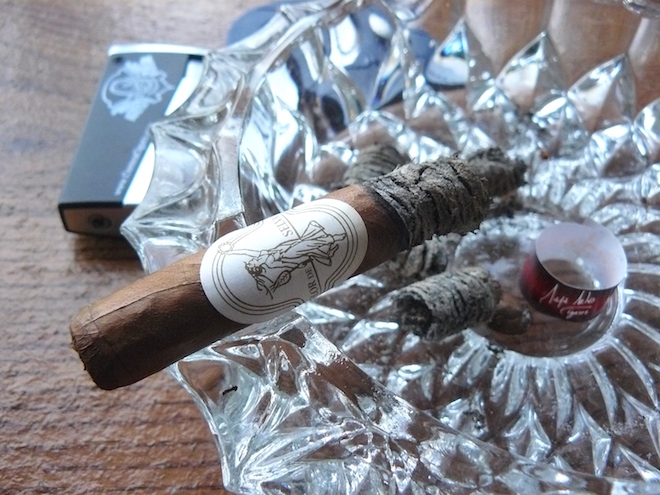 Although ideally, I would prefer to do a review of a single first time stick without a libation, this is a celebratory cigar for the Maya Selva company, so why the heck not? 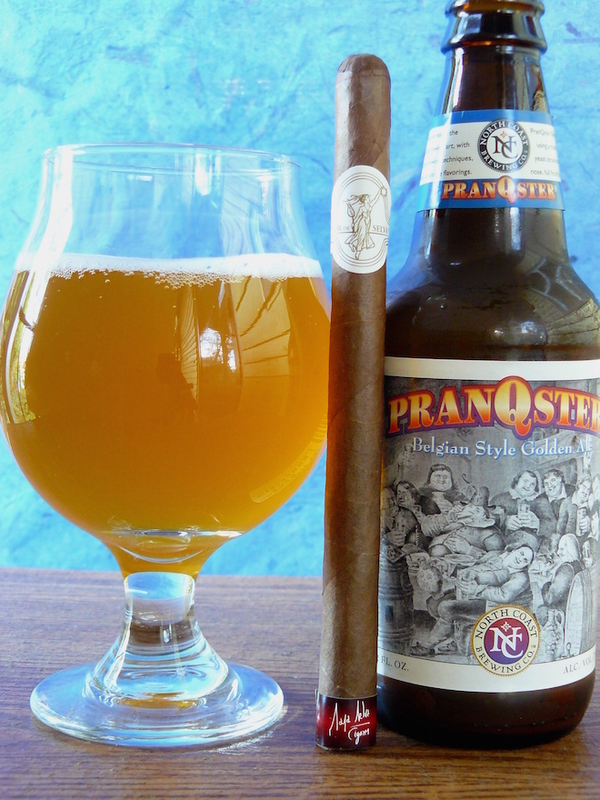 The PranQster is a Belgian style ale that falls into my “good cigar companion” category. Fairly light in body with a medium amount of sweet, fruity esters, it would seem to be a perfect fit for just about any smoke. Unfortunately, the amount of sweetness in the beer couldn’t quite overcome the lack of the same in the cigar. It came close, but no… cigar? Sometimes a beer is simply not the proper companion, and the cigar is certainly not at fault – not having had this cigar before, the success of the pairing, or lack thereof, falls on me. Such is the plight of trying to match up unknowns. This is a cigar that, for me, would go much better with a strong sweetened coffee (or conversely, one that is not sweetened at all) or a nice sweet rum. Thanks Charlie, it’s nice to know that it’s not just me, lol. I’d certainly like to give it another shot if I can get my hands on more. Honduran tobacco has been hit or miss with me – just like any other country – but the hits have been very good.